Juliet is dead on “Westworld” — but that doesn’t mean Sela Ward’s relationship with the show needs to be. After her character’s chilling death by suicide on Sunday’s episode — Season 2’s penultimate installment that also served as our introduction to the older version of William’s (Ed Harris) wife — we know we won’t be seeing her in the HBO sci-fi series’ current timeline. But thanks to the many flashbacks the show features, it’s not out of the question that Juliet will return. 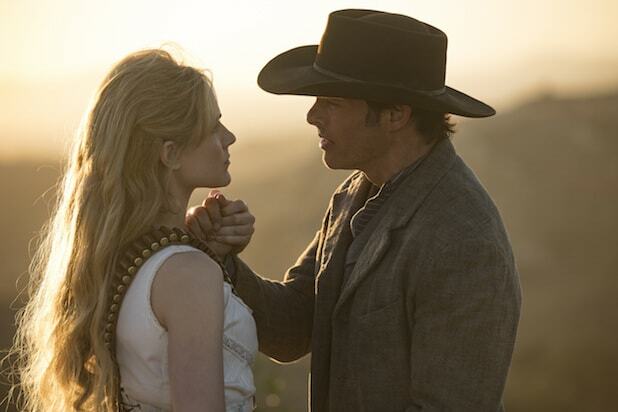 Also Read: 'Westworld': OK, Seriously, Is the Man in Black a Host or Not? This episode, titled “Vanishing Point,” took us into the show’s very recent past for an inside look at an evening with the MIB (aka an older version of Jimmi Simpson’s William) and his family life outside of the park. Set on the night his lovely (but disturbed) wife Juliet killed herself, we find out she did it because she saw who he really was and what he has done, thanks to an ID chip that revealed his doings inside of Westworld. Before Juliet takes her own life, we also see her and William’s adult daughter, Emily (Katja Herbers), is concerned about her mother — a recovering alcoholic whose behavior becomes embarrassing at a party — and wants to get her back into treatment. Juliet refuses to go, and insists she is fine, placing the blame for her troubles onto William and insisting to their daughter he doesn’t love either of them and never has. Ward says it is correct to assume Juliet died thinking her daughter believes she’s “just a drunk” and doesn’t know why. The Season 2 finale of “Westworld” airs Sunday at 9/8 c on HBO.